Seeing, goes the theory, necessarily modifies what is being seen. That’s not even considering the effects of perspective, which is to say the mental articulation of meanings and associations in a particular language about whatever’s under observation. 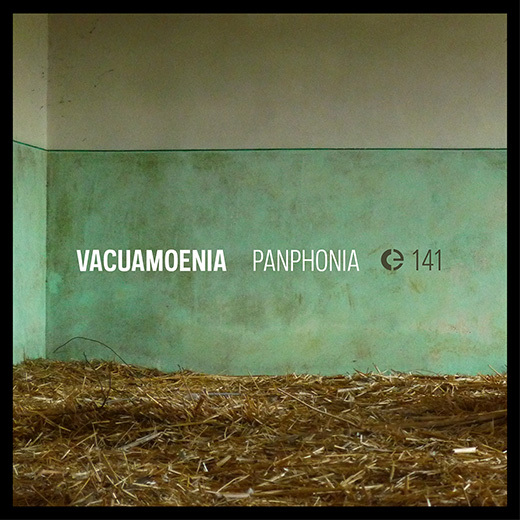 If field recording could be said to be in large part about enjoying the silence of the world, Vacuamoenia’s project turns that principle on its head, bringing the absence of the human to bear as a matrix upon which the meanings of the world’s silences rest. By means of a deep exploration of abandoned Sicilian villages mostly built during fascism’s period of hold over Italy, the collective comprised by an academic and a musician constantly suggest that listening is not as ‘passive’ as convention might dictate. Instead, listening is part of a communicative network that passes not only through the technical (equipment, positioning, and so on) and the personal (the artists’ criteria for selection) but also through the historical (music, after all, is all about time). The main question, I believe, is what exactly shapes these sounds? The howling wind grazing the walls of empty rooms, the crackling of unseen objects moving, the drones emanating from materials contracting and expanding as the temperature rises and lowers, the distant buzz of storms funneled beneath crumbling archways and broken doors reclining upon rotting furniture… The naturalist stance, which treats these sounds as the interactions between objects, does not manage to cover the entire spectrum of their implications, which are born instead from the geographically specific mixtures of culture and history, interpreted and changed constantly by those of us who, even at a distance and through myriad mediations, listen with the intent to both experience and understand. Just like all these places, by virtue of being seen, are shifting in meaning, so do their sounds. Not in vain is the first track called “Chinmoku”, a Japanese word that conceptualizes a silence that does not break communication but is actually integral to it, the spaces between notes that make their very existence possible. The silence of these villages in decay is the source of both new and old landscapes, the dialogue between the vitality of the human-made with the vitality of the physical world taking back what the former has claimed. *Note: If you can read Spanish, I widely recommend reading this interview with the collective. This entry was posted in Reviews and tagged 141, Vacuamoenia. Bookmark the permalink. Comments are closed, but you can leave a trackback: Trackback URL.